A weekly summary of select sustainability news, events, and job opportunities. 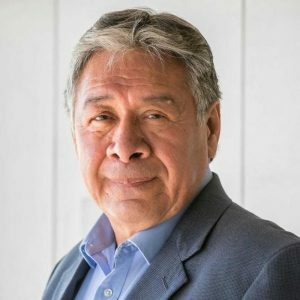 Arizona State University Professor Donald L. Fixico, a distinguished sustainability scientist in the Julie Ann Wrigley Global Institute of Sustainability, was named a Regent's Professor for his work as a historian, particularly of American Indian cultures. Bryan McKinley Jones Brayboy, a President’s Professor, director of the Center for Indian Education and ASU’s special adviser to the president on American Indian affairs, was quick to sing Fixico's praises. The designation capped off a banner year for Fixico. He published his latest book, "Indian Treaties in the United States," and finished serving as president of the Western History Association, considered one of the most prestigious appointments in historical studies. In recognition of Fixico’s prolific scholarly legacy, that organization presented the first Donald Fixico Book Award in 2018. The $1,000 award annually recognizes innovative work in the field of American Indian and Canadian First Nations history that centers on indigenous epistemologies and perspectives. Fixico has published more than a dozen books and today is considered among the foremost scholars in North American Indian history. Among his pursuits is writing a major Indian history textbook for Oxford University Press and writing the chapter, “Writing American Indian History in the 21st Century,” for Vol. 1 of the "Handbook of North American Indians" by the Smithsonian Institute. Read more about Fixico in ASU Now.